We recently published EPISODE 2 of the William and Mary Sports Blog podcast! Whether you’re commuting to wherever you’re going, hanging out and looking for something to do, or just can’t find enough Tribe sports talk — this pod should do the trick to get you through the day. 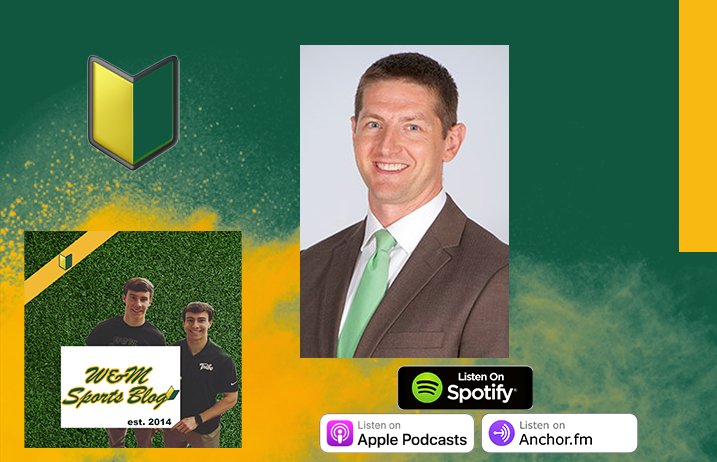 In this Episode: We talk about the hiring of new W&M MBB Head Coach Dane Fischer, as well as other important topics related to W&M sports — such as: should W&M lower academic standards to help in the recruiting process? We have even better news: our podcast is now officially on Apple Podcasts AND Spotify! If you use those apps regularly, find the links below, and SUBSCRIBE to our podcast so you’ll get instant access to our content the second it comes out. If you don’t use Apple Podcasts or Spotify, no worries, you can listen to the podcast directly at the Anchor link below (the platform on which we create our podcast). What are you waiting for?! Use the links below to get to our podcast page, and SUBSCRIBE! But most importantly, enjoy the podcast! LET’S GO TRIBE. W&M (along with the Ivy League, SoCon, and some others) didn’t get dropped to I-AA football until December 1981, some 4-5 years after I-AA was formed. In the decade before that, the W&M campus had seen three waves of student protests over the Board’s attempts to upsize the football program (and stadium), in ’74, ’79, and the fall of ’81 which was my freshman year at W&M. While I don’t still have the “Tribe Dome” T-shirt, I remember the satires vividly, along with the song “Ode to Cary Field” which started in 1974 but was revived in ’79 and ’81. I can probably provide some more historical perspective if you’d like. Wow thanks for the insight Dave — fascinating stuff and great scoop on athletics history at the school! We’re sure glad football survived. Bear in mind that the football team was much less highly regarded between the Lou Holtz and Jimmye Laycock eras, and the Board saw this as a Problem That Should Be Addressed (unlike the issue of low faculty salaries, mentioned in the song). Basketball was a much higher profile sport back then, with the men’s team going to SEVEN (!) straight SoCon semifinals from 1970-76 and then six straight ECAC South/CAA semifinals form 1980-85, and the legendary upset of UNC in 1977. After most of Bruce Parkhill’s recruits graduated, the program imploded and it wasn’t until Tony Shaver’s fifth year that the program started to regain any sustained respectability. OK, just listened to your podcast. Well done. I’m sure Dane is a great young man. Reminds me of Tony, only younger and without any head coaching experience. I can’t believe he was the first choice. Based on the timing of the hire and the timing of the NCAA tournament, Dane was not the first choice. I also think that the way Tony was let go was a factor in the “first choices” not taking the job. Poor Dane has walked into a hornets’ nest.